I posted this in the 911 engine build forum, and didn't get much feedback, maybe more can chime in on this side. I need some input of the visual of the following valv/valve guides. I realize this is only a visual...............but a quick story of the car: I purchased it in July 2013 and the PO told me that his PO (Porsche mechanic) had overhauled the engine to some extent, but no paper trail to back it up (BTW, the car has 191k). The engine looks is very clean bottom and top. 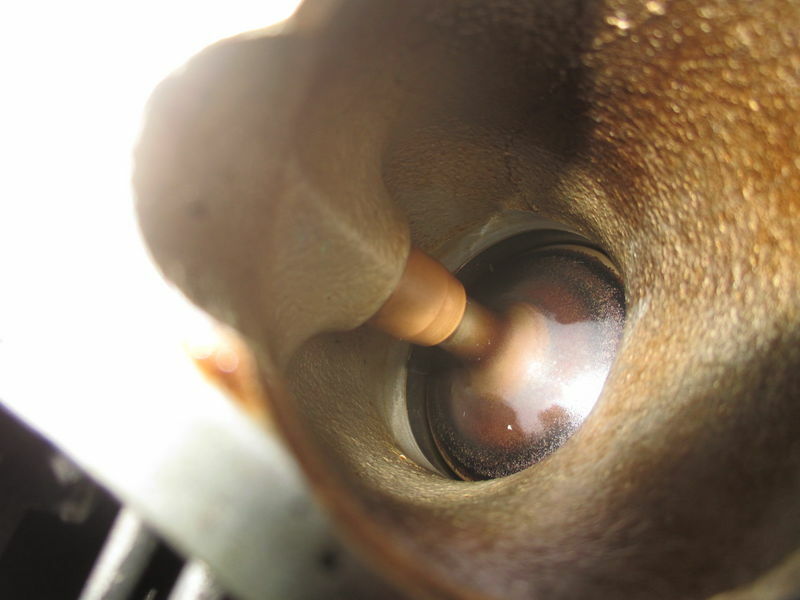 When I pulled the intake manifold to replace the fuel lines, I took a peak at the intake valves and notice that, in particular one valve was leaking oil, which appeared from the guide Now, the others also have some residue, but I believe the oil is from the over-filling the tank. The valves and guides do not appear as part of a 199k mile engine, but I could be wrong. Calling all Pros: What are your professional opinions on this? I can't imagine that much oil coming through the intake guide. One is a little deposit but nit excessive oil. Check the intake manifold and see if you have any oil puddles inside it. Any air leaks around the breather gasket or hose will pull oil into the intake..and the oil may just sit on the intake valve that was closed and was the lucky one that puddled oil so you could see it. Don't think it is a valve guide/stem seal..they wear out evenly. I doubt the re-builder missed a valve stem seal. Thanx everyone, the manifold is just coated with grime and oil, so assuming it is that. 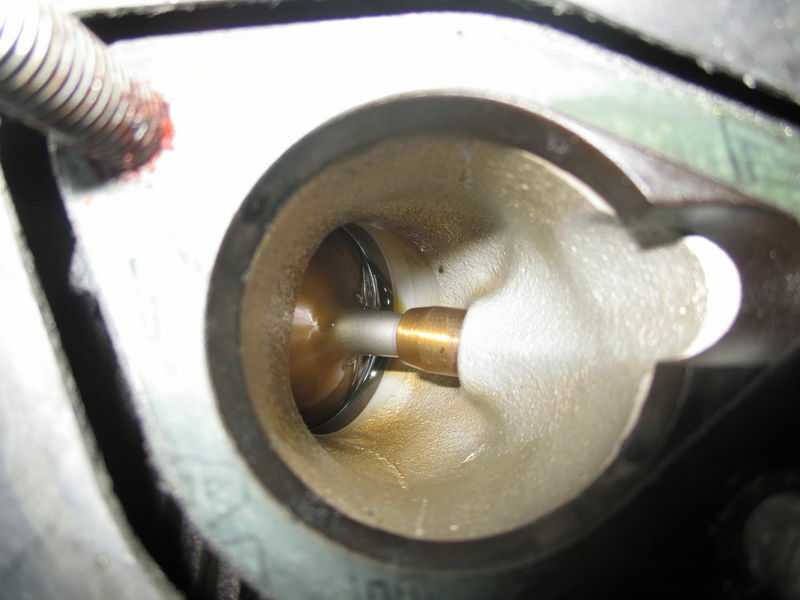 Reviving this thread as I am attempting to replace the intake valve seal in order to isolate if the seal is at fault. I was able to pull the the Rocker and Shaft with no stories, but upon further inspection I noticed that there were minor score marks, which are not deep (according to my fingers). Should I replace?? Also, I am using the "Rope in the hole" method, but find it difficult to get enough of it in there in order to avoid the valve from dropping. Do I need to have the piston at the "Top" (compression) stroke? Last edited by nene; 03-05-2018 at 06:41 PM..
UPDATE: After replacing the valve seal, the oil puddle was no longer and issue. I confirmed and validated after running the car for several days and looking at the spark plug for that cylinder, which was no longer oily. Good to hear you found the issue. What was the condition of the old seal? Can you post some pics? What tool did you use to remove the valve spring?